As we approach St. Patrick’s Day, the minds of Americans turn to three foods: corned beef, cabbage, and soda bread. But unlike corned beef, the Irish in Ireland actually eat soda bread! Known by various names according to its flour content and shape, soda bread is eaten all over the Emerald isle. And while the cuisine of the British isles and Ireland is not always lauded as the finest the world has to offer, this bread is well worth giving a regular place at your table. Soda bread is a bread, usually made with lower-protein soft wheat flour, that relies on the combination of baking soda (sodium bicarbonate) for its leavening. The ingredients are simple and few: salt, baking soda, flour, and buttermilk. 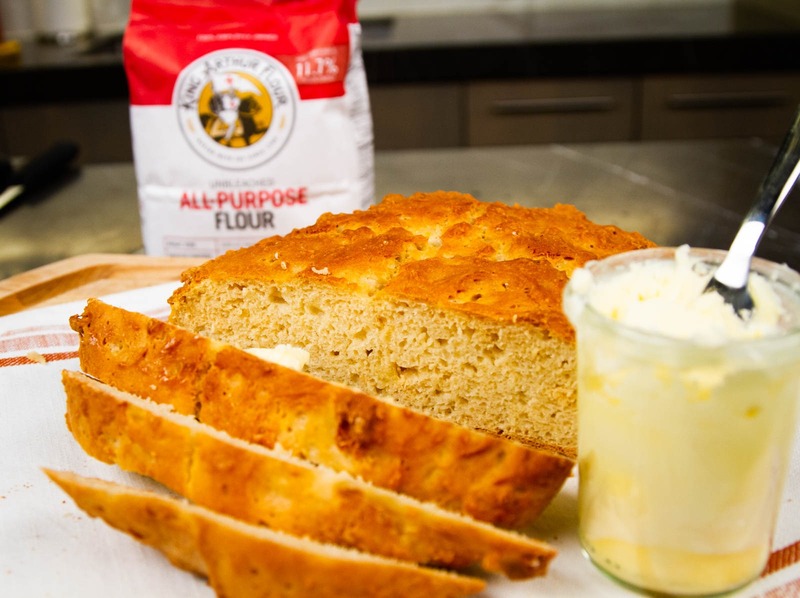 * The flour should be relatively low in protein (gluten) so, cake or all purpose flour is your best bet (we use King Arthur All Purpose flour below for its consistent quality). In Ireland, they sometimes make it with varying proportions of whole wheat flour, creating what they often refer to as brown bread. As for the leavening, the acid in the buttermilk reacts with the soda to create carbon dioxide. Because this reaction happens instantly, it is best to have your oven well preheated and ready to go before you start preparing the dough. Waiting to bake the bread may allow gas to escape from the dough, resulting in a denser, less airy bread. But even more importantly, the soda should be used up and balanced by the buttermilk. After all, if there’s soda left over, then there is leavening potential that has been left behind. Granted, there may be a faint hint of soda flavor left, but it shouldn’t overpower the creamy taste of the soda bread itself. One of the nice things about soda bread is that the added alkalinity will help the sugars in the crust to brown more easily, giving you a beautiful loaf and a very slight pretzel-y flavor. In the end, it takes surprisingly little soda to leaven a loaf, so don’t go overboard. 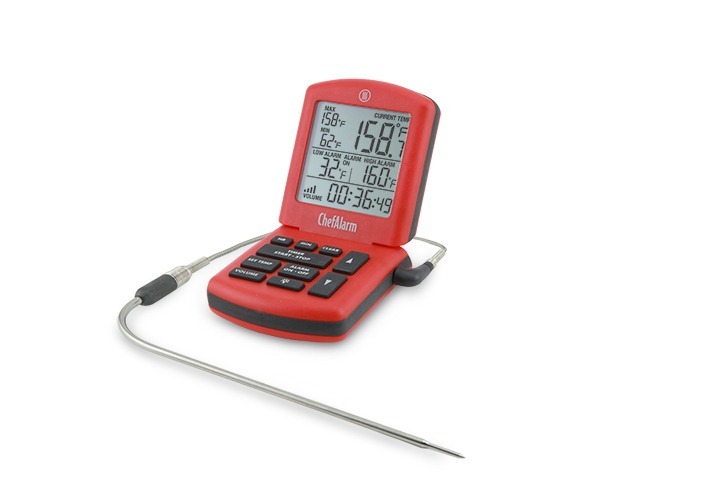 The other common problems of over- or under-cooking, can easily be solved with a leave-in probe thermometer like the ChefAlarm®. In the final analysis, soda bread is just a dense quick bread like banana bread, and dense quick breads should be cooked to 200–205°F (93–96°C), an internal temperature that assures that enough water has been absorbed or cooked out so that it is no longer soggy, but not so hot that the crumb dries out. 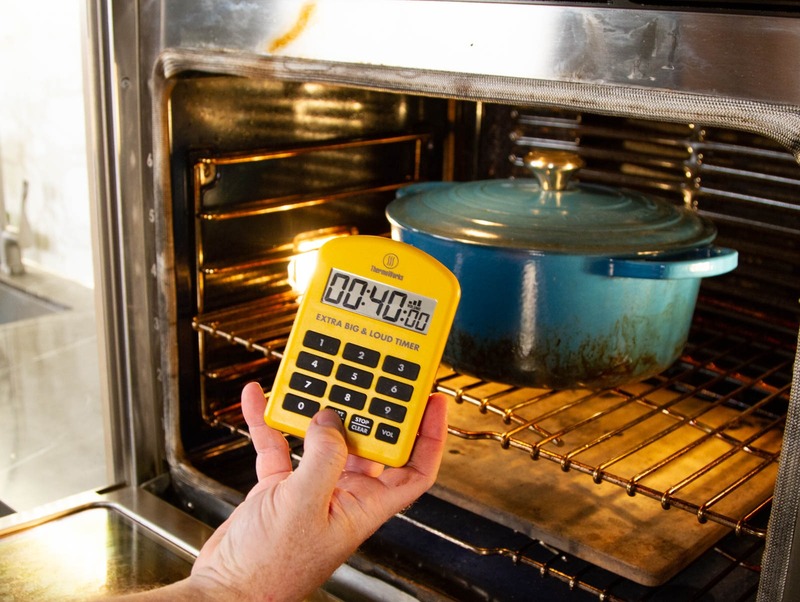 Use the same temperature for banana bread, pumpkin bread, or pound cake! Soda bread is best baked in the same manner as sourdough bread—in a hot cast-iron pot or Dutch oven. Starting the bread in a lidded pot traps steam, creating a delicious, browned and crispy crust. 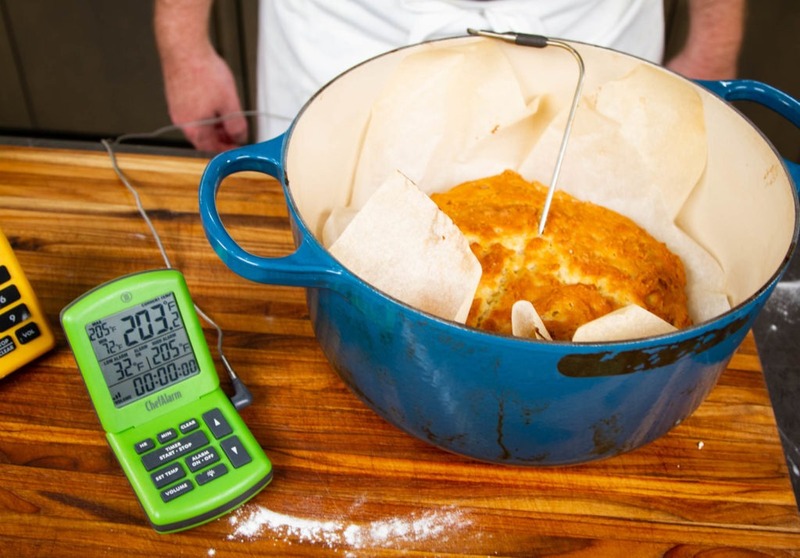 Allow the bread to cook for 40 minutes with the lid on, then remove the lid and insert a thermometer probe, cooking un-lidded until the center of the bread comes to temperature. *Some people add raisins, some people add caraway. That’s fine, but we’re going to stick to a more classic version here. Preheat your oven to 450°F (232°C) with a heavy, lidded cast-iron pot in it. Allow it to preheat fully before preparing the dough. 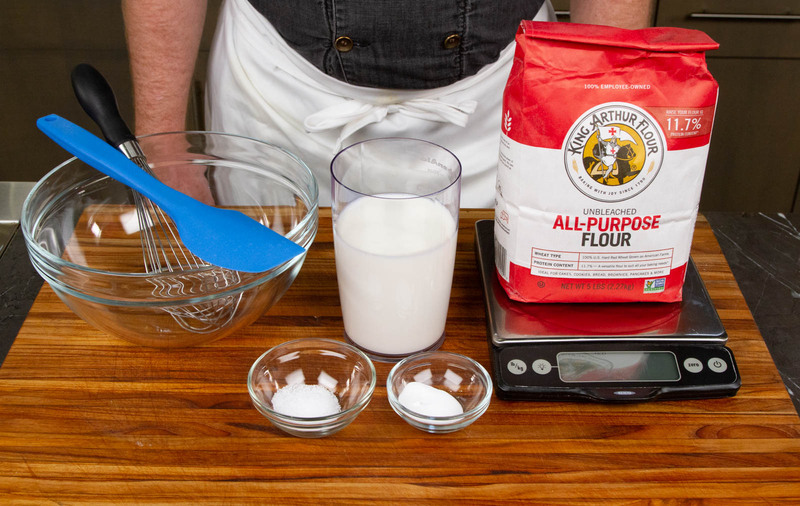 When the oven is hot, whisk together the flour, salt, and baking soda. Whisk everything together very well, especially making sure there are no lumps of soda left, which will cause brown, weird tasting spots in your bread. 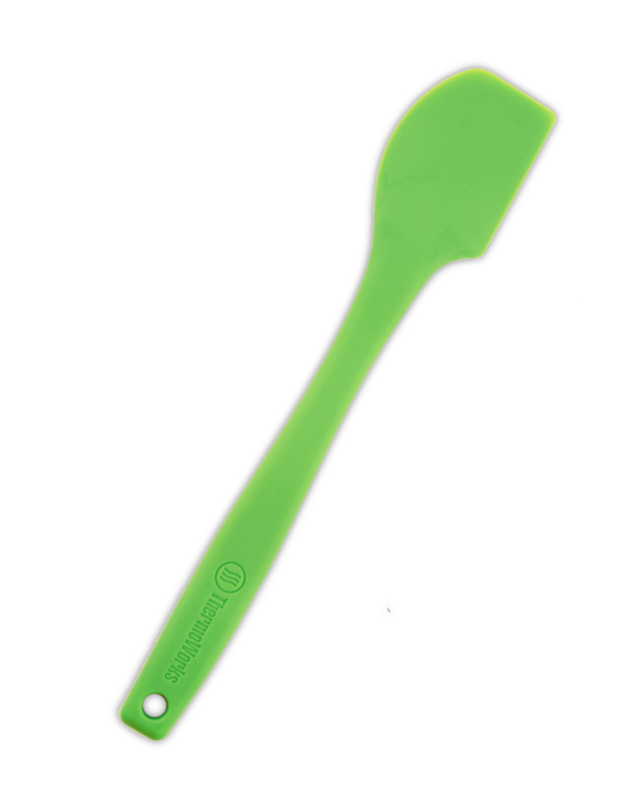 Add the buttermilk and fold the ingredients together with a flexible spatula, like our Hi-Temp silicone spatula. Fold together just until no visible pockets of dry flour remain. If you want a chewier bread, fold it together for another 20 seconds to develop extra gluten. Remove the Dutch oven from the oven, place on a heat-safe trivet on the countertop. Remove the lid. Scrape the dough from the mixing bowl onto a sheet of parchment paper in the hot cast-iron pot and form it into a boule-shaped mound. With a sharp knife, cut a large X across the top of the whole ball. This will allow the bread to expand into quarters, speeding the cooking of the center. Replace the lid on the pot and place the pot in the oven. 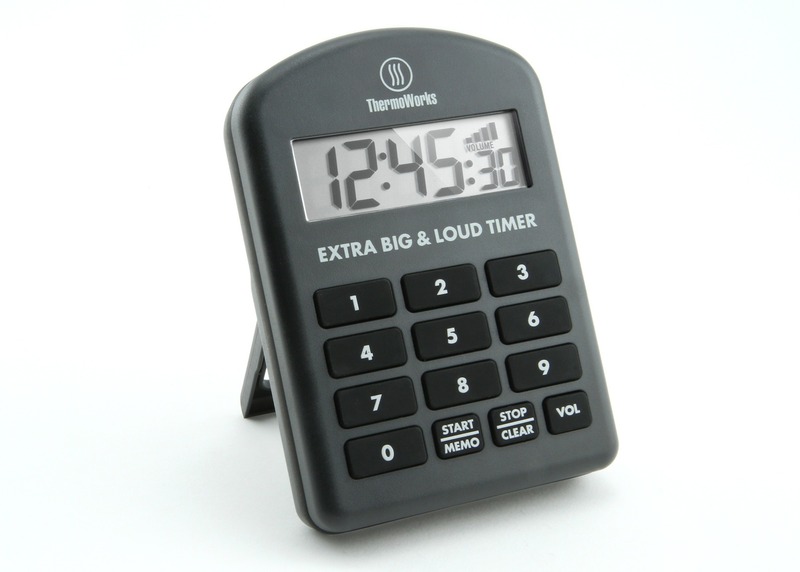 Set a timer, like the Extra Big & Loud, for 40 minutes. Bake the bread. When the timer goes off, remove the lid from the pot and insert a ChefAlarm‘s probe into the center of the loaf. Set the high alarm for 205°F (96°C) and continue to bake. When the alarm sounds, remove the bread from the oven and tip it carefully out to allow it to cool. Slice and enjoy with butter and preserves or, yes, even corned beef and colcannon. With a good recipe and proper temperature monitoring, you’ll find that soda bread is so easy and so tasty that you will want to make it all the time. The ingredients cost so little and the payoff is so big. Just remember to use your ChefAlarm to apply the 200–205°F (93–96°C) doneness for quickbreads and you’ll have warm, lovely smelling bread for any meal! Is there a way to save this in Pinterest? How big of a Dutch oven should be used for this recipe of soda bread? 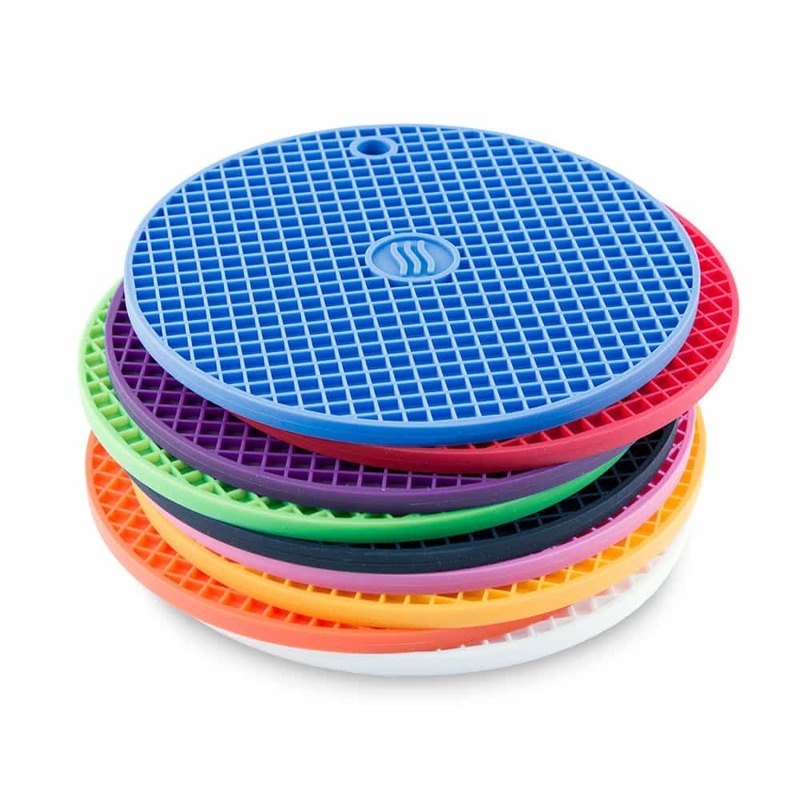 Something with a bottom at least 8” across. Oh no! Well, try it this way, for a MUCH better experience! The recipe yours is based on calls for a final temp of 210. I am curious did you find a better result with the lower temperature? I found it to be perfect at 205°F. The range for quickbreads rally can go from 200–210, based on initial hydration and desired finish. This hydration seems best to me at 205°F. This sounds so wonderful. But alas, I have a Breville 800XL toaster oven not a big oven. I don’t even know if it will handle an iron pot. Do you know if the bread will come out close to what you picture if I use preheated Corningware with a smaller base than 8″? While it won’t have the same properties, a lidded Corningware pot will be better than nothing. With a base that small, I’d make a half batch at a time and get smaller loaves. It should still work out, though! Leave the lid off after inserting the probe. Sorry for the confusion! Not sure what didn’t work from these instructions, but the loaf was already at 211F degrees after the 40 minutes covered. Top was already browned nicely. Left it in there another 5 minutes or so uncovered, tried moving the temp probe, and still 211F. So I pulled it out, and removed it from the cast-iron pan to cool. Lower part of the bread turned out to be too moist, plus the parchment was completely stuck to the bottom. Had to cut off the bottom crust because of the parchment. On the good side – at least the flavor was excellent. It sounds like your oven may be running hot, but it’s hard to say. If it hasn’t had time without the lid off but is at a good temp when you remove the lid, then that’s ok, the critical temperature has been reached! I don’t know what to say about the parchment. Maybe try a different brand? My experience was similar to Fred’s. But, the parchment paper came off the bottom very cleanly. I was VERY pleased with the results. I inadvertently used self rising flour. My only complaint would be that I felt the bread was saltier than what I prefer. I’m going to start experimenting by making only one change at a time. I would like to end up with similar quality using less salt, Whole Wheat flour and a stoneware loaf pan. We shall see. That’s great! I hope you land on a loaf you love very soon!